. 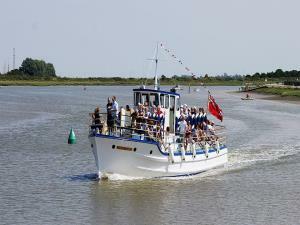 Available f40 minute trips from the little blue jetty on Hythe Quay up to 4 times per day depending on tide and numbers, no booking required. Cash only, pay on boat. Bar & toilet on board.